You can love him or you can hate him, but whenever Jay Leno struts out in front of you, you just cannot freaking ignore him! 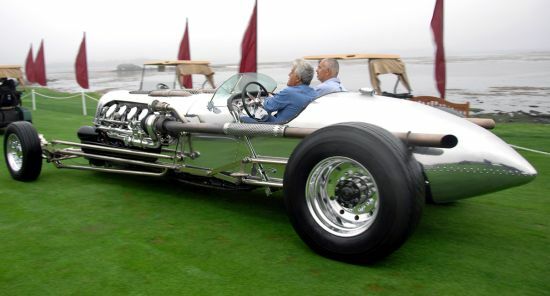 Unlike many other TV stars, however, Leno has used his NBC millions into things other than senseless partying, and his massive collection of cars certainly shows us why. 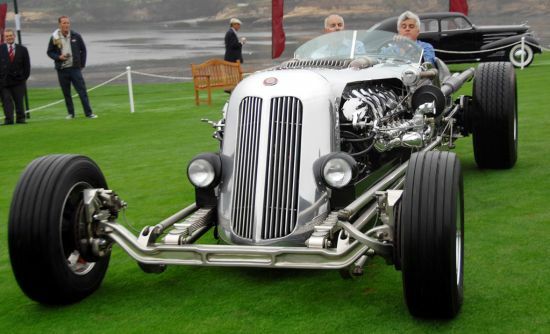 And the super customized hotrod he pimped around this yearâs Pebble Beach Concours dâElegance car show totally befitted the snipping humorist too. 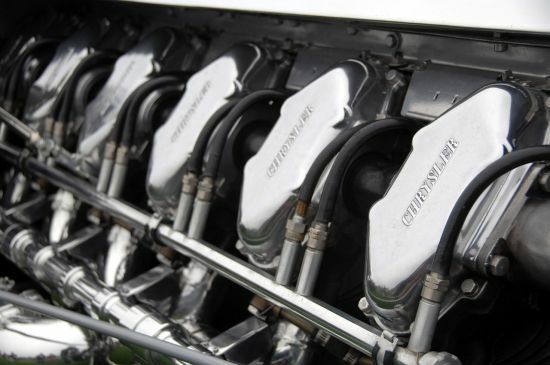 Christened the TankCar, the 1953 Chrysler runs on a 1792 cid V-12 Continental-designed, Chrysler-made 28.4-liter turbocharged tank engine that can reportedly churn something like 1,600 hp and 3,000 ft-lbs. of torque! The custom car also features an Allison six speed transmission that gives the beast something like a 5 miles to the gallon. Weighing in at 2,000 lbs, the engine on the beast just tips a little less on the scales than Leno himself and we really do envy him for qualifying in this year’s featured 20+ liter class.